Kervansaray Uludag Hotel serves you with all the equipment to make you the best possible guest. You can benefit from the hotel's many facilities such as Indoor Pool, Sauna, Wireless Internet. Kervansaray Uludag Hoteloffers Billiards Desk, Indoor Pool, Internet Connection, Maid Service, Restaurant, Safe, Sauna, Hammam, Wireless Internet services during your stay. Kervansaray Uludag Hotel, where you can apply numerous winter sports such as skiing, snowboarding, biathlon, ski jogging, free style skiing, skiboarding, skibob and sled, offers you a rich alternative area where you can rent skiing equipment to your guests. Kervansaray Uludag Hotel ski area, which is the best ski area of ​​the 1st zone, is offered free of charge to the guests of the ski lifts and ski lifts. With 5 professional ski instructors in attendance, it will become even more fun moments when skiing at Uludağ Ski Center in Kervansaray Uludag Hotel for new learners. Even if you play snowballs for those who have never seen snow in the cities where they arrive, Kervansaray Uludag Hotel will become a totally different entertainment in Uludağ. Buyuk Hotel Uludag A great holiday awaits you in Uludag. You will have a good time to spend your memories in the Buyuk Hotel Uludag, listen while you are having fun, play sports and enjoy a life that is fit. With the "One-card tourniquet system" which is introduced with the Buyuk Hotel Uludag, our guests will be able to benefit freely from all the ski lifts and teleses in the 1st and 2nd regions. 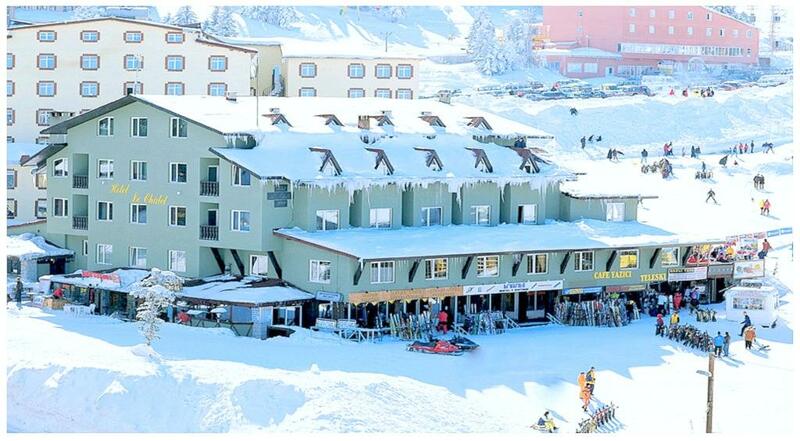 Buyuk Hotel Uludag will be able to use the ski tracks of a total length of 60km with a single card. 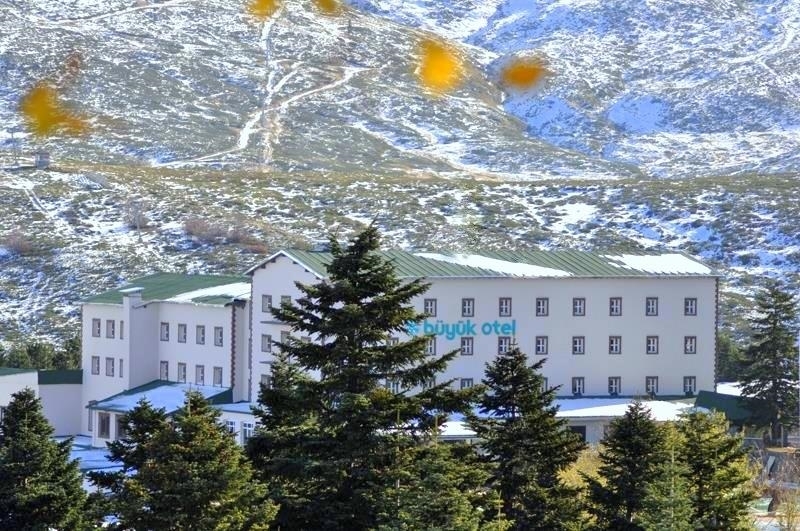 Buyuk Hotel Uludag 1st region Alkoçlar Telescope, Honorary Lift, Beceren Telescope, Osman Superior Chair Lift, Belvü Telescope, Mandra Telecabin, Italian Telescope, Tricycles and chair lifts. 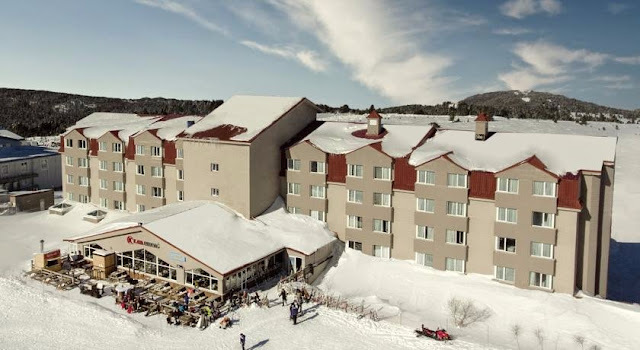 Buyuk Hotel Uludag In the 2nd region, they can make use of a single card from the Dairy Telescope, Kırkgözler Telescope, Mine Chair Lift, Body Terrestrial Chair Lift, Baia Telescope, Alkoçlar-Karinna Telescope, Kartanesi Telescope. Kar Hotel Uludag is a quality boutique establishment located in the 1st district. Kar Hotel Uludag is a nice alternative for the guests who prefer the 1st zone and serves with the concept of full board and has the same sportive and amusing side of Uludağ. Kar Hotel Uludag, which has been highly pleased for years, is waiting for you in Uludağ this year. Located in Uludağ 1st Development Area, Kar Hotel Uludag is 45 km from Bursa and 65 km from Bursa Yenisehir Airport. Away. Kar Hotel Uludag has 58 rooms, a restaurant with 180 seats, bar and cafes, a game room, a children's play center, live music every evening. Kar Hotel Uludag with the Uludağ Single-Card Tourniquet System, our guests will be able to use the ski tracks of a total length of 60km with a single card, which can be used freely during the day from all the ski lifts and telescopes in the 1st and 2nd regions. In the 2nd region, they can make use of a single card from the Dairy Telescope, Kırkgözler Telescope, Mine Chair Lift, Body Terrestrial Chair Lift, Baia Telescope, Alkoçlar-Karinna Telescope, Kartanesi Telescope. Le Chalet Yazici Hotel Uludag is the oldest and most popular ski resort in Turkey, called Uludağ. Le Chalet Yazici Hotel Uludag has been serving you for about 40 years with its warm atmosphere and feel like you are in your mountain house. Le Chalet Yazici Hotel Uludag has established family relationships with its guests over the years by maintaining its experience and quality in this sector; Bursa is 35 km away from the city center and Istanbul is only 235 km away. Full board and open buffet at all meals,Le Chalet Yazici Hotel Uludag offers 18 rooms including hot wine, ski equipment rentals for guests to enjoy skiing, enjoy, relax and experience romantic moments in a whimsical fairy tale world. Uslan Hotel Uludag, one of the favorite hotels in Uludag, promises an unforgettable winter holiday with its service quality and comfort guests. 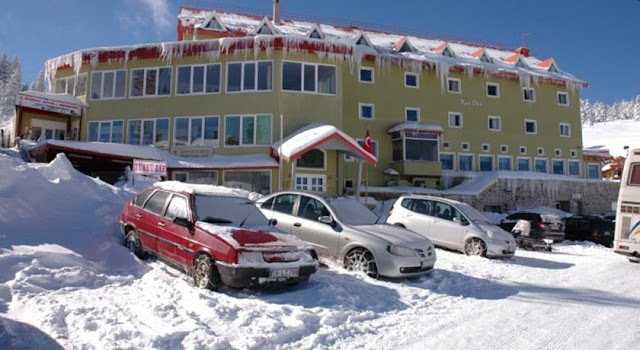 Uslan Hotel Uludag located at the entrance of Uludağ 1st District between 1750 - 2543 m is located 33 km from Bursa city center, 87 km from Bursa Yenisehir Airport, 180 km from Istanbul Sabiha Gökçen Airport and 460 km from Ankara Esenboğa Airport. Lift exits are extra charge. Uslan Hotel Uludag is included in the single card system offered for a fee. Practice to Mine Ski Lift, My Mountain Telescope, Keggözler Telescope, Monte Baia Telescope, Karinna Telescope, Kartanesi Telescope, Mandra Telescope, Honorary Lift, Belvü Telescope, Gondola, Belly Chair Lift, Beceren-1 Telescope, Beceren-2 Telescope, Alkoçlar Telescope, Italian Telescope , Tally chair lifts, Karkay chairlift, Heavenly chair lifts, and Telescope and Printer. 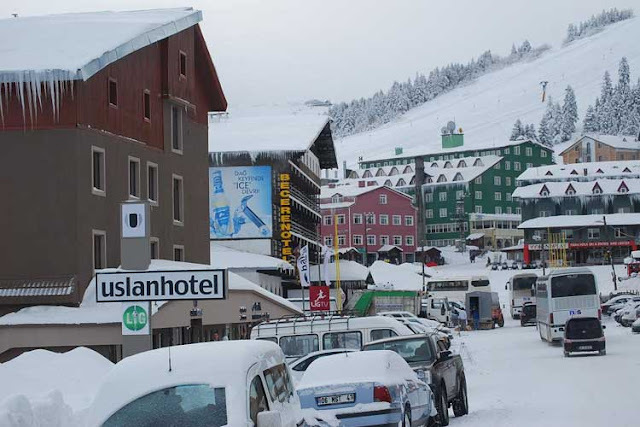 Uslan Hotel Uludag Guests can leave their ski suits in the ski room. Trend Life Hotel Uludag is located in the 1st development zone of Bursa Uludağ, rich with greenery and oxygen which is a winter tourism paradise. It is next to 'Novice Pist', which everyone knows very well, and Paradise is 30 meters from the rocky track. 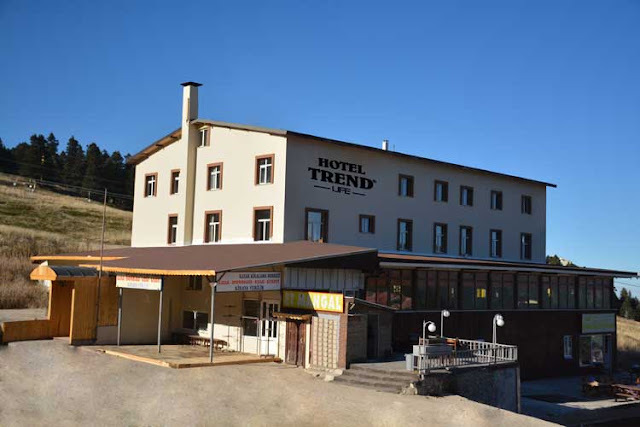 Trend Life Hotel Uludagl is located in the same area as 112 Health Center and Karkay Cafe. Trend Life Hotel Uludag is located at a distance of 10 meters from the runways, 30 km from the center of Bursa and 250 km from Istanbul Sabiha Gökçen airport. Trend Life Hotel Uludag includes a single card system which includes the 1st Zone and 2nd Zone runways and is offered for a fee. The 1st Zone also includes all the telescopes and lifts, including Honorary Lift, Agaoglu Telesityej, Belvü Telescope, Beloved Ski Lift, Beceren Telescope, Printer Telescope, Alkoçlar Telescope and Italian Tuty. There is a total of 7 lifts in the 2nd Zone, which is available for the bodybuilding and wintering. Erta Soyak Hotel Uludag has 41 standard rooms. 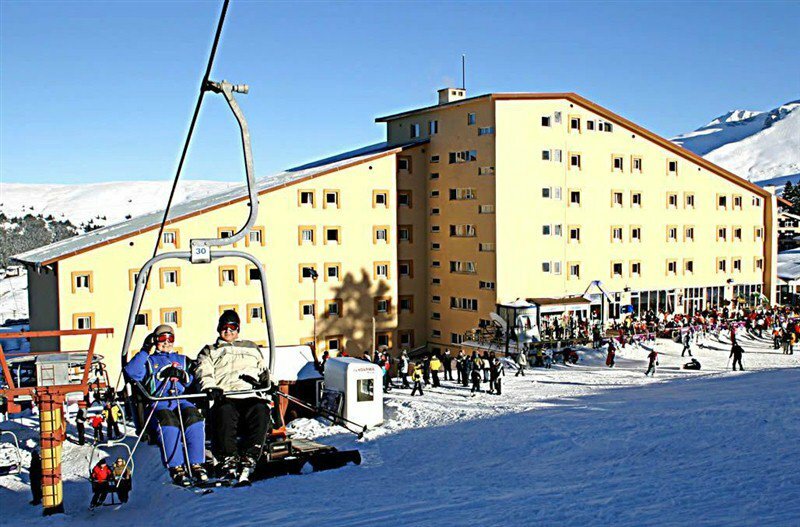 Erta Soyak Hotel Uludag is located at the closest point to the ski slopes in the first development zone. Erta Soyak Hotel Uludag is 35km from Bursa city center, 7 km from Sarıalan Cable Car Station, 2km from 2nd Region Teleferik Station, 55 km from Mudanya Ferry Station, 115km from Mudanya Ferryboat to Araba and 115 km from Yenişehir Airport. Lift exits are extra charge. Erta Soyak Hotel Uludag is one of the only card systems available for a fee. Baia Telescope, Beceren Telescope 1-2, Alkoçlar Telescope, Italian Telescope, Frax Chairlift, Belvü Telescope, Gondola, Kuşgayaaya Chairlift, Baccarat Telescope, Tall chair lift, Karkay chairlift, Heavenly tackle and chairlift, and Printer with telescope. Beceren Hotel Uludag has been the subject of numerous old and new Turkish films since years, Beceren Hotel Uludag, run by the same family for 3 generations and now welcoming the 4th generation guests, will be waiting for you in your unique ambiance at your winter vacation in Uludağ with its unique position, . Beceren Hotel Uludag has 74 rooms. It is 36 km to the city center, 42 km to Mudanya Fast Ferries İskele, 60 km to Bursa Yenişehir Airport. Lift exits are extra charge. Beceren Hotel Uludagis included in the single card system offered for a fee. Practice to Mine Ski Lift, My Mountain Telescope, Keggözler Telescope, Monte Baia Telescope, Karinna Telescope, Kartanesi Telescope, Mandra Telescope, Honorary Lift, Belvü Telescope, Gondola, Belly Chair Lift, Beceren-1 Telescope, Beceren-2 Telescope, Alkoçlar Telescope, Italian Telescope , Tally chair lift, Karkay chairlift, Heavenly chair lift, and Telescope and Printer.